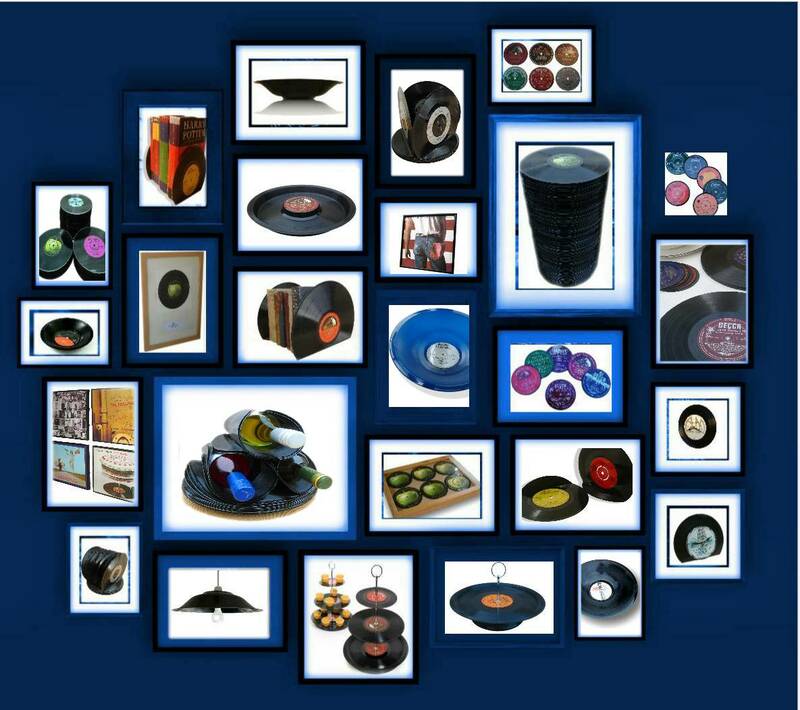 At Vinyl Village we have a mission for keeping our music heritage alive by transforming vinyl records into works of art for the home. 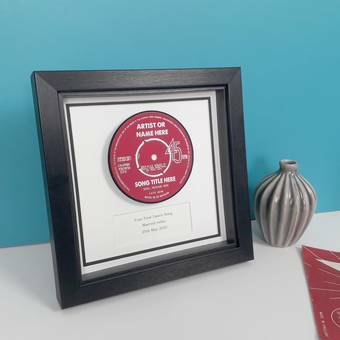 We have been a designing and manufacturing vinyl record decorations since 2006. 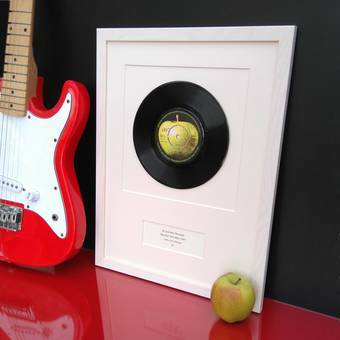 All products are made from original records and are reworked by hand at our West Country business. 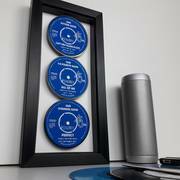 We've a wide range of items including large and small bowls, coasters, large and small bookends, clocks, framed 45s, framed sleeves, snack trays, tables and many more, all of which will add retro-style and eco-glamour to your home. 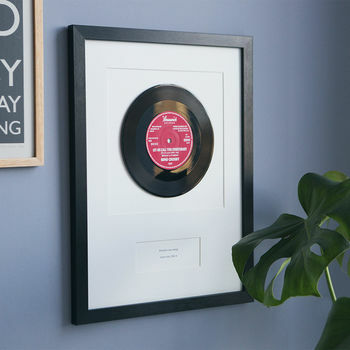 We pride ourselves in helping you personalise your purchases, We invite you use our bespoke service to select record titles that really mean something to you, perhaps the first record you ever bought or had a first dance to, or maybe even an evocative tune played at your school disco. 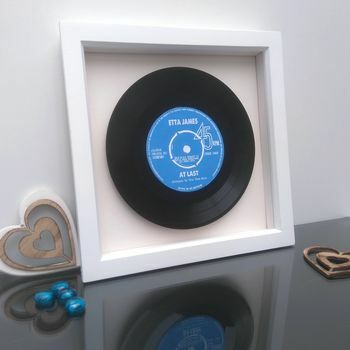 We can even track down the single or LP that was No 1 in the charts when you were born! 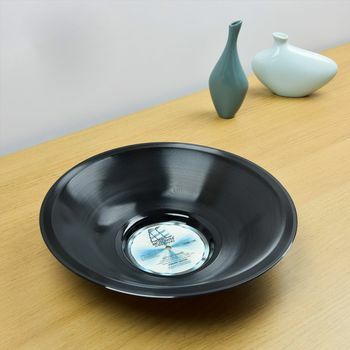 "My friend absolutely loved it , it looked great and was great quality !" "Amazing product. Team went above and beyond to make sure the record was perfect, and it was!" "Anniversary present that gave me so many brownie points I'll never be able to cash them lol. His utter joy at opening it will be a memory that will stay with me forever." "Wonderful product, excellent service. Communication was unbelievable, nothing too much trouble.Fast & efficient , couldn't believe it could be done so quickly.made a wonderful personalised memento. Thank you."